The Blunt Bean Counter: The Best of The Blunt Bean Counter- Should Your Corporation’s Shareholder be a Family Trust instead of a Holding Company? The Best of The Blunt Bean Counter- Should Your Corporation’s Shareholder be a Family Trust instead of a Holding Company? This summer I am posting the "best of" The Blunt Bean Counter blog while I work on my golf game. Today, I am re-posting a June, 2012 post on whether your corporation's shareholder should be a family trust or holding company. This determination is a very complex and requires analysis by a tax expert. If you are considering a family trust, you must obtain professional advice to ensure you do not trip over any tax "land mines". Should Your Corporation’s Shareholder be a Family Trust instead of a Holding Company? I am often asked by clients incorporating a new company, whether they should hold the shares of the new corporation directly or whether they should utilize a holding company or a family trust. The exact same question often arises a second time, years later, when a business has been successful and the shares of the corporation have been held by the client and/or their spouse directly and the client is now contemplating whether it makes sense to introduce a holding company or family trust into their corporate ownership structure, for creditor proofing and/or estate planning purposes. I have discussed utilizing a holding company and introducing a family trust as a shareholder of a private corporation in prior blogs. Today I will discuss these alternative structures in context of a newly incorporated business and a mature business. When a person decides to start a new business and incorporates (see my blog on whether to start a business as a proprietorship or corporation) there is often a level of uncertainty as to whether the new venture will be successful and cost control is often paramount. Thus, most people opt to keep their corporate structure simple (which really means, they do not want to spend money on lawyers and accountants to set-up holding companies and trusts) which is very understandable. However, if you have the resources upon incorporation, you may wish to consider having a family trust own the shares of the private corporation rather than directly owning the shares or using a holding company from the outset. 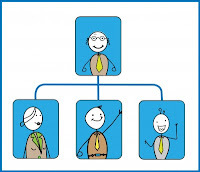 The two reasons you may wish to consider this corporate structure are as follows: (1) you can have a holding company as a beneficiary of a family trust which can provide all the benefits of a direct holding company; and (2) a family trust provides the ultimate in tax planning flexibility. There are several benefits to having a family trust as a shareholder of your private company (I am assuming your corporation is an active company, not an investment company, for which the above is problematic). If the company is eventually sold, a family trust potentially provides for the multiplication of the $750,000 lifetime capital gains exemption on a sale of qualifying small business corporation shares (as of July, 2016, the exemption has risen to $824,177). That is, it may be possible to allocate the capital gain upon the sale to yourself, your spouse, your children or any other beneficiaries of the trust, resulting in the multiplication of the exemption and creating substantial income tax savings. For example: where there are four individual beneficiaries of a family trust, the family unit may be able to save as much as $700,000 (closer to $880,000 as of July, 2016) in income tax if a corporation is sold for $3,000,000 ($3,300,00 as of July, 2016) or more . In addition, where your children are 18 years of age or over, the family trust can receive dividends from the family business and allocate some or all of the dividends to the children. The dividends must be reported in the tax return of the child, but in many cases, the dividends are subject to little or no tax (if a child has no other income, you can allocate almost $40,000 in dividends income tax-free). Finally, where you have surplus earnings in a corporation and you wish to creditor proof those earnings, but do not want to allocate those funds to your spouse or your children, you may be able to allocate those funds tax-free to the holding company if it is a beneficiary of the trust. This provides for an income tax deferral of the personal taxes until the holding company pays a dividend to its shareholders. 1. The initial accounting and legal costs may be as high as $8,000 - $12,000. 2. You may not have children or, if you do have children, they are young and you cannot allocate them dividends without the dividends being subject to the “Kiddie Tax” (a punitive income tax applied when minors receive dividends of private companies directly or through a trust). 3. You are not comfortable with allocating to your children any capital gains from a sale of the business and/or any dividends since legally that money would belong to them. 4. If the business fails, it may be problematic to claim an Allowable Business Investment Loss (a loss that can be deducted against any source of income) that would otherwise be available if the shares of the company were held directly by an individual. 5. There are some income tax traps beyond the scope of this blog post when a holding company is a beneficiary. As discussed in the opening paragraph, once a business is established and has become successful, clients often again raise the issue of whether they should introduce a holding company or a family trust into the corporate ownership structure. At this stage, a holding company can easily be introduced as a shareholder. The mechanics are beyond the scope of this blog but the transaction can take place on a tax-free basis. However, the holding company essentially only serves one purpose, that being creditor proofing. A holding company is also often problematic, as the level of cash the holding company holds can put it offside of the rules for claiming the lifetime capital gains exemption if the business is sold in the future. Thus, you may wish to consider utilizing a family trust, unless you do not have children or do not anticipate being able to sell the corporation. If one waits until the business is successful to introduce a family trust, as opposed to introducing one as an original shareholder when the business is first incorporated, the value of the business as at the date of the reorganization must first be attributed to the original owner(s) utilizing special shares (typically referred to as an estate freeze). This means the beneficiaries of the trust only benefit from the future growth of the corporation (i.e. : if the corporation is worth $2,000,000, the parent(s) are issued shares worth $2,000,000 and the children will only benefit on any increase in value beyond the $2,000,000). The costs of introducing a family trust with a holding company beneficiary as part of an estate freeze could be as high as $15,000 -$20,000 as a business valuation is often required. The above discussion is very complex. The key takeaway should be that having a holding company as a direct shareholder of an operating company, may not always be the most tax efficient decision. A family trust with a holding company beneficiary may be the more appropriate choice depending upon the circumstances. In any event, believe it or not, the above discussion has been simplified and you should not even consider undertaking such planning without consulting a professional advisor to understand the issues related to your specific fact situation to ensure the planning makes sense and that you are not breaching any of the hidden income tax traps. Can a holding company be a beneficiary of the Family Trust as well as be owned by the Family Trust? I have never considered that question since the point of having the holdco as a beneficiary of the trust is to provide an outlet for excess cash where the parent does not want or need to allocate to the beneficiaries of the trust. Thus, there would typically be no point to have the holdco owned by the trust also. When valuating a house that you would like to rollover, is an MPAC assessment sufficient for valuation purposes?